SEVIERVILLE, Tenn. (WVLT) -- Friends and family will remember Jason "JD" Dahl on Friday. All are welcome to attend. 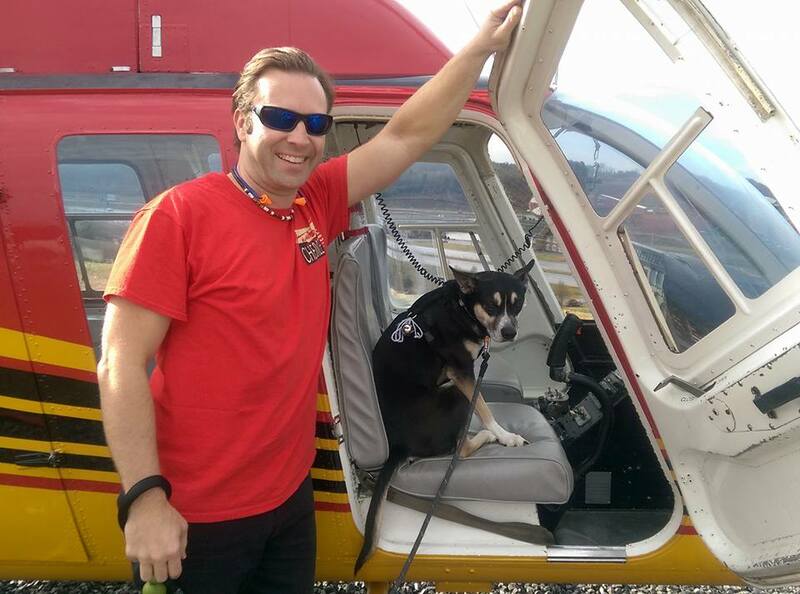 Dahl was the pilot who was flying a sight-seeing helicopter that crashed Monday afternoon. Dahl and four others died in the crash. The memorial service for Dahl will be at 4 p.m. on Friday, April 8, at Pathways Church in Sevierville. This is one of two services to remember Dahl. The funeral for Dahl will be in Oregon. Dahl and his long-time girlfriend, Tessa Ashford, are from Oregon and moved to Tennessee so Dahl could "pursue his dream in aviation." Dahl is survived by his mother Tracie Dahl, his sister Kimi Dahl, and Ashford. 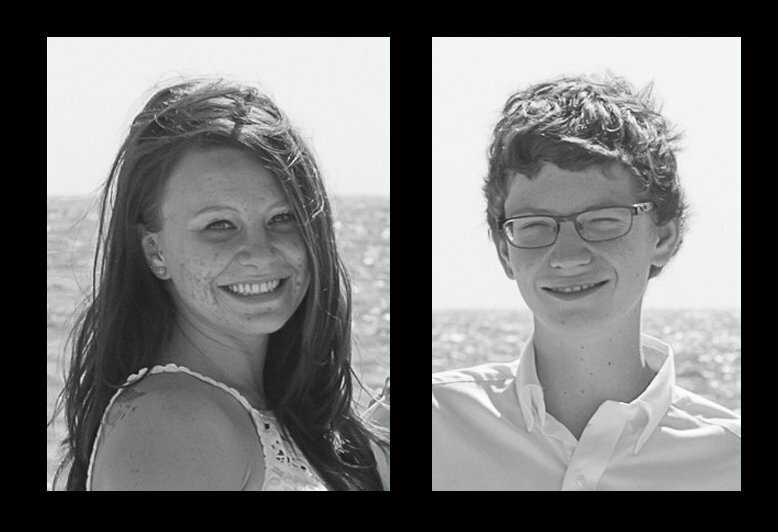 The other victims in the crash were the four passengers, Johna Morvant, her two children, Peyton and Parker Rasmussen; and a friend, Michael Mastalez. 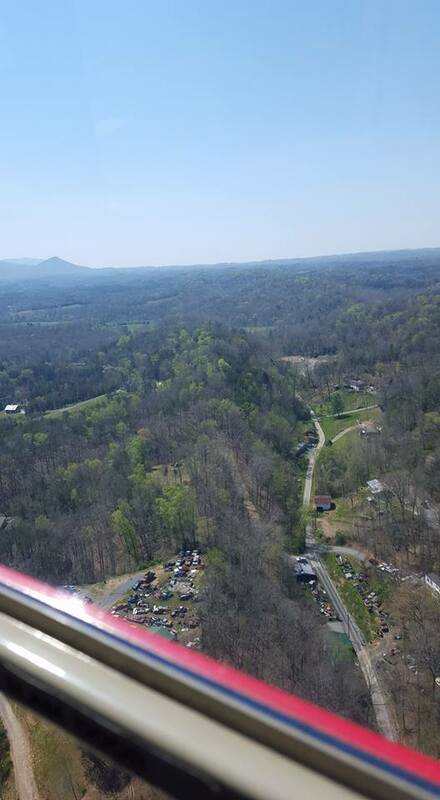 PIGEON FORGE (WATE) – Helicopter tour companies are reassuring people about safety after a helicopter crash killed five people Monday afternoon. “Hundreds of thousands of helicopter flights over this area and there’s only been a handful of accidents. 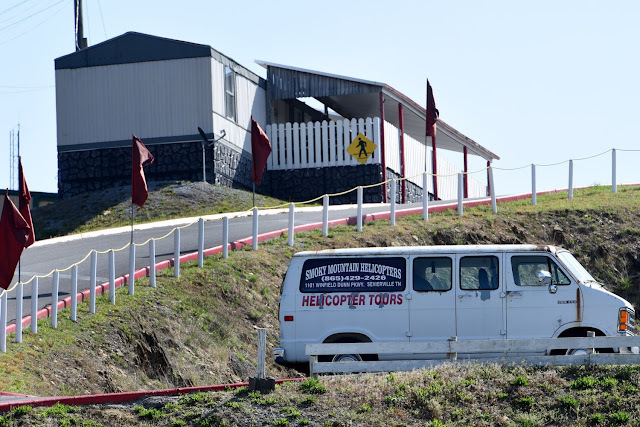 This of course is the worst,” said Dan Haynes, owner of Scenic Helicopter Tours. It was not one of Scenic’s helicopters that crashed. Instead it was from a competitor, Smoky Mountain Helicopters. Haynes says crashes are so rare because of the strict safety standards they are held to. “If people took care of their cars like we take care of a helicopter, you would never buy a new car because it would always be like a new car. Every moving part of a helicopter has to be inspected or replaced after so many hours. 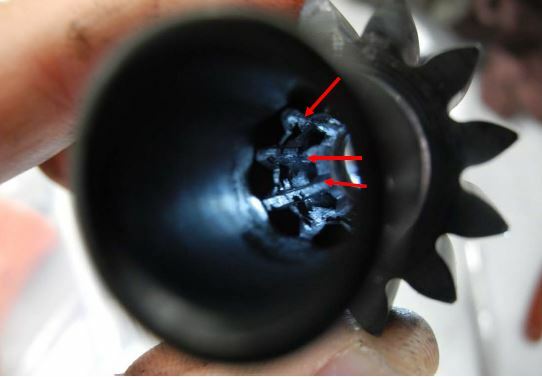 Some of those it doesn’t matter what condition they’re in they have to be replaced,” he said. They are regulated by standards set by both the helicopter manufacturers and the FAA, and pilots undergo extensive training for any possible situation. “Whatever possible emergency could happen you can deal with that, so when you think of all those things that’s probably the reason it’s so safe is because there is extensive maintenance that’s done, training that’s done,” said Haynes. As the investigation continues into exactly what caused this helicopter to go down, the other pilots in the industry are offering condolences to those involved yesterday while reminding people it was a tragic accident. “It’s my responsibility to make sure that people understand that this is not representative of what the helicopter industry is about. It’s a very sad tragic day, a very sad time really,” said Haynes. Smoky Mountain Helicopters did not have anything to say Tuesday about the accident when we called and they were closed all day. The helicopters are pretty common to see in flying the skies over Sevier County. Haynes says it is a small industry, and this accident has impacted them all. “This is the worst nightmare of a situation that you would you should ever have,” he said. Haynes has been flying over Sevier County for nearly 30 years and said he has never seen anything as devastating as Monday’s crash. The couple on the helicopter just one hour before it crashed. A Laurel County couple visiting Sevier County, Tennessee for a quick getaway say they took a sightseeing tour on the same helicopter that crashed Monday. 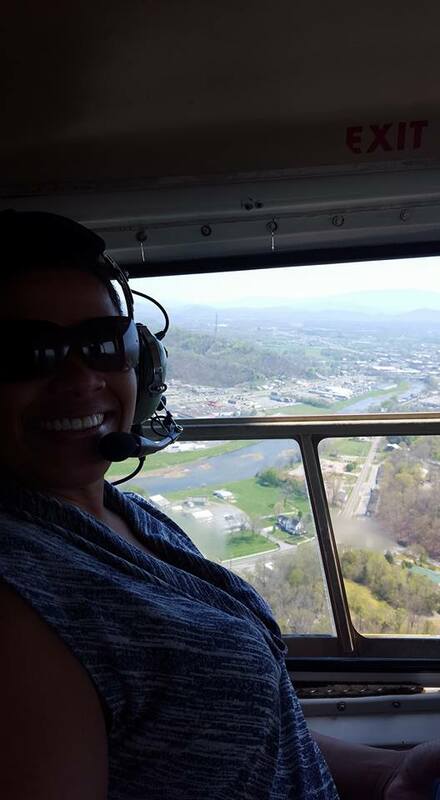 Just an hour before the fiery crash that killed five, Shannon and Reona Collins were on the helicopter getting a bird’s eye view of the Smokies. A total of five people died when the Bell 206-L from Smoky Mountain Helicopter crashed near Pigeon Forge Parkway. “I posted pictures on Facebook, people started calling us and asking us if we were okay. I said ‘yeah we're okay, why?’ They said the helicopter crashed,” said Shannon. Shannon says they had just spoke to the pilot, Jason Dahl, an hour before his death. “My wife got all teary eyed and choked up and said, ‘listen, let's just be thankful, and let's just go home,’” said Shannon. Shannon said Dahl told them their flight was going to be windy. “Said, ‘we have a wind 30-40 knots. 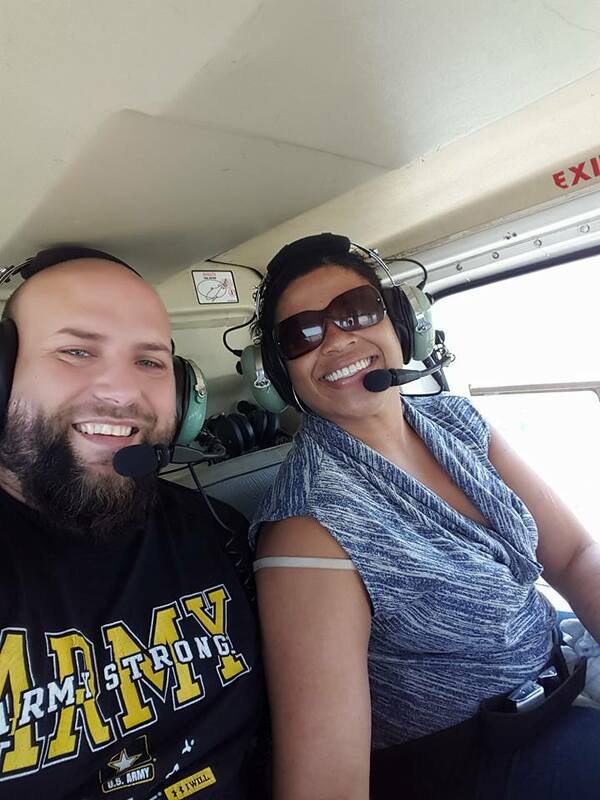 But I’ll adjust my flight path and increase the power to not make it so bumpy,’ and it was a good ride and my wife had a good time,” Shannon told LEX 18. NTSB is now investigating the deadly crash and they have contacted Shannon and Reona about any troubles. They say that the flight was okay and they wonder what could have happened. The wreckage of a sightseeing helicopter that crashed Monday in Pigeon Forge, killing 5 people, was removed from the crash site on Wednesday afternoon. 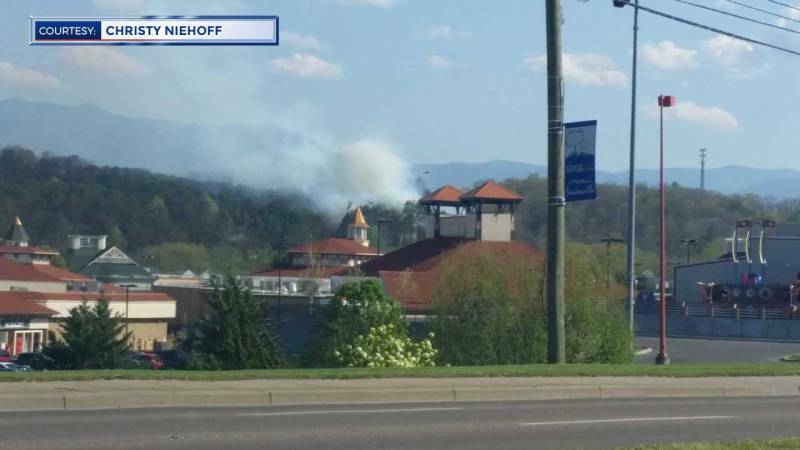 The helicopter, owned and operated by Smoky Mountain Helicopter, was on what's called the "Pigeon Forge tour" on Monday when it crashed into a ridge behind the Tanger Outlet Malls and caught fire, according to National Transportation Safety Board (NTSB) senior investigator Luke Schiada. The tour was about 60 percent complete when the aircraft went down. All five people on board were killed. 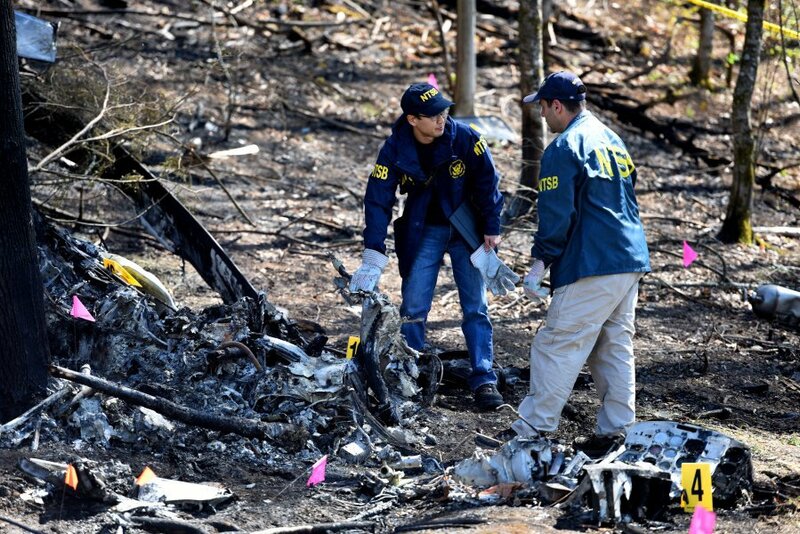 The pilot was Jason Dahl, 38, of Sevierville, with more than 1300 hours of flight experience, according to his logs, which were examined by the NTSB. He had flown more than 870 hours in the Bell 206L helicopter, which was the model of aircraft that crashed. 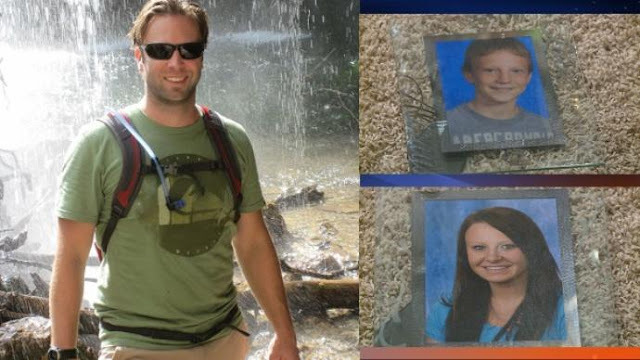 His passengers were Johna Morvant, from Kodak, her two children, Peyton and Parker Rasmussen from Huntersville, North Carolina, and Peyton's boyfriend, Michael Glenn Mastalez of Prosper, Texas. The wreckage was taken to a storage facility in Springfield, Tennessee, where investigators can do a more detailed analysis in a controlled environment, according to Schiada. 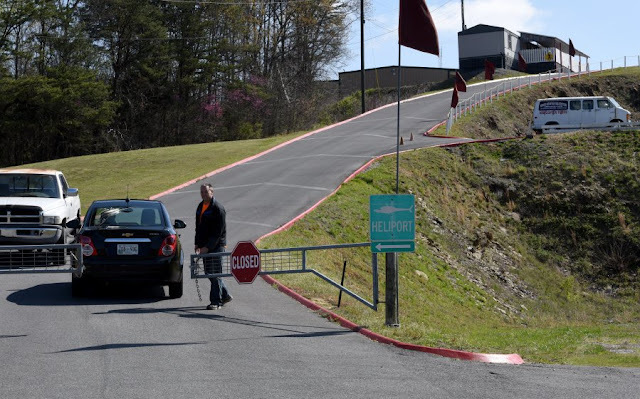 Investigators will continue to work in Sevier County, gathering information on the pilot's experience and maintenance records, looking at maintenance logs, interviewing witnesses and other pilots in the area, and reviewing weather conditions. Earlier on Wednesday, a Tennessee Highway Patrol helicopter flew the same route of the downed helicopter. 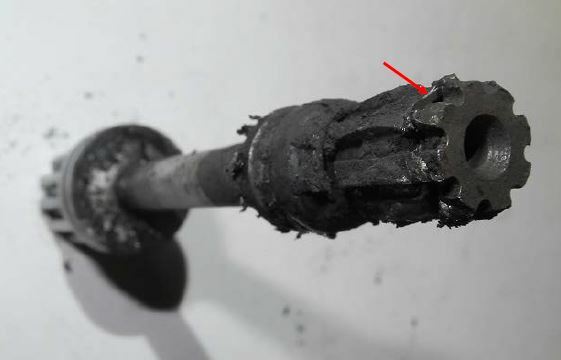 An FAA inspector on board took aerial photos and gathered other information during that flight. Schiada said all of the information will be gathered and put into a report that will be forwarded to the NTSB board in Washington, DC. The board will review all of the data and make a determination on the cause of the crash. It could take up to a year for the review to be complete. There is still no information about how the victims died. The bodies were transported to the medical examiner for that determination. A witness told 10News that a man survived the crash, but he died soon after the witness reached him to try to help. Smoky Mountain Helicopter has been in business since the mid-1960's. Schiada said they operate two aircraft, one based in Pigeon Forge and one in Cherokee, North Carolina. They employ four full-time pilots and two mechanics in Pigeon Forge. PIGEON FORGE — Federal investigators hauled off the wreckage of a crashed helicopter for further inspection Wednesday, two days after the sightseeing aircraft went down on a wooded ridge and killed all five people aboard. Investigators have offered no clues so far as to what might have caused the crash that killed Johna Morvant, 49; her daughter, Peyton Rasmussen, 22; her son, Parker Rasmussen, 18; her daughter's boyfriend, Michael Glenn Mastalez, 21; and the pilot, Jason Dahl, 38. Dahl's logbook shows he had a total of 1,300 hours of flight experience — 870 of those hours flying helicopters of the same make and model as the 1977 Bell 206L LongRanger owned by Sevierville-based Smoky Mountain Helicopters that struck the ground near the top of a ridge line behind Tanger Outlet Mall about 4:10 p.m. Monday, said Luke Schiada, National Transportation Safety Board senior safety investigator, during a briefing Wednesday. The rotorcraft, with the pilot and four passengers aboard, came to rest about 80 feet below the top of the ridge and caught fire, igniting a small forest blaze that burned into the night. The helicopter was last inspected about 30 days before the crash. Records show about 40 flight hours for the aircraft since then. 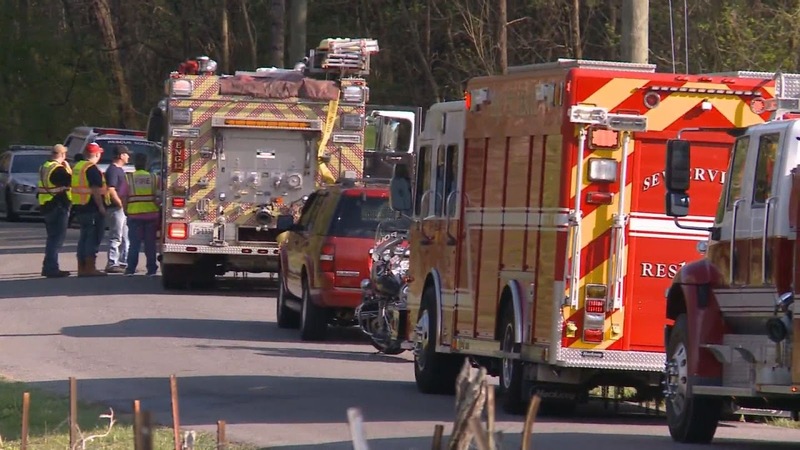 Smoky Mountain Helicopters operated two helicopters — the one that crashed Monday and another at a Cherokee, N.C., location — and employed four full-time pilots and two mechanics, according to the NTSB. The business has offered tours of the area since the 1960s. NTSB officials have said determining the cause of the crash could take up to a year. A preliminary report could be available by late next week. 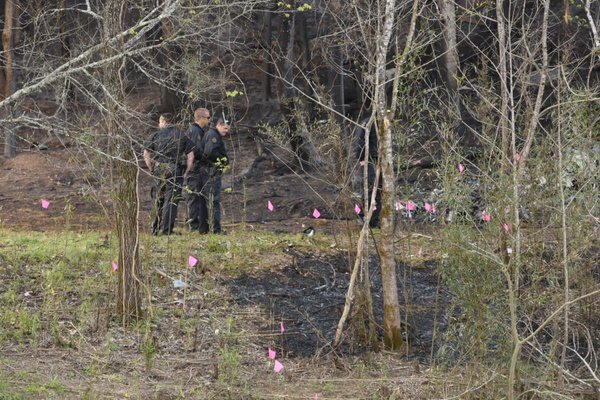 A small brush fire at the crash site briefly re-ignited Wednesday, but fire crews soon got the blaze under control. Investigators have been at the crash site since Tuesday. Pigeon Forge Fire Department crews pulled some wreckage from the bottom of the nearby west prong of the Little Pigeon River. 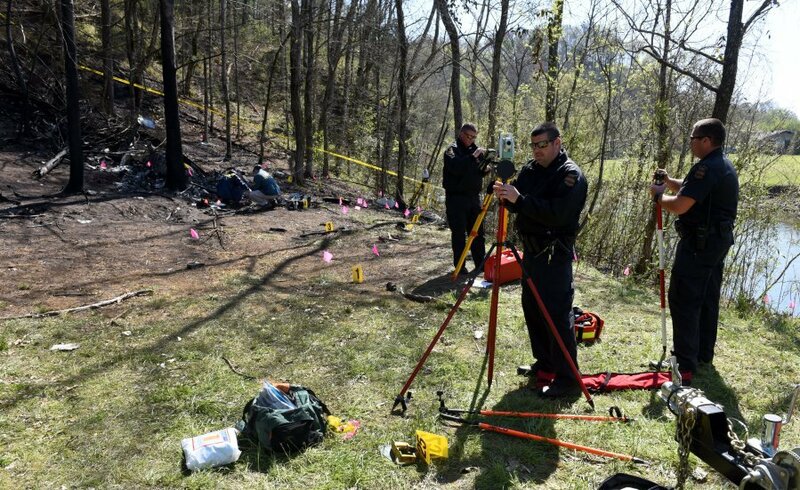 The Tennessee Highway Patrol's Critical Incident Response Team assisted the investigation with a 3-D scan of the wreckage. The wreckage will remain at a storage facility in Springfield, Tenn. This SnapChat photo shows the moments before the chopper took off on Monday. 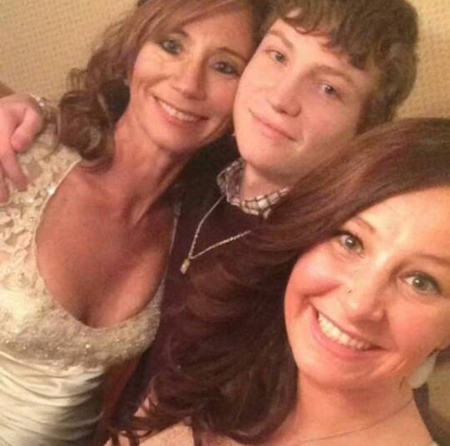 Johna Morvant, 49, from Kodak and her two children, Peyton and Parker Rasmussen. 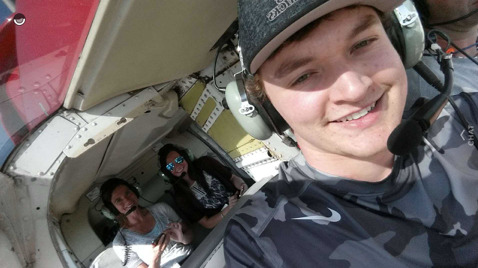 Siblings Peyton Rasmussen, 22, left, and Parker Rasmussen, 18, died in the Sevier County sightseeing helicopter crash. Their mother, Johna Morvent, and Peyton Rasmussen's boyfriend, Michael Mastelez, 21, were also on board the flight. 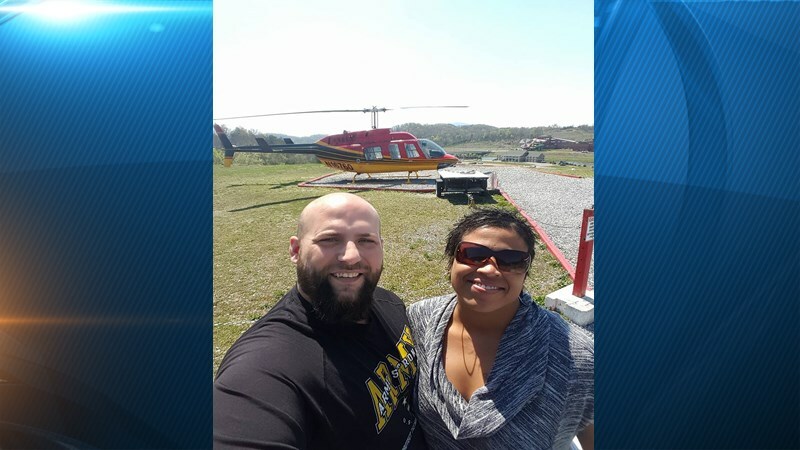 PIGEON FORGE — A mother, her two grown children and her daughter's boyfriend were among the five people killed when a sightseeing helicopter crashed on a wooded ridge Monday, according to family members. The fifth fatality, the helicopter's pilot, was identified Tuesday evening by the Pigeon Forge Police Department as 38-year-old Jason Dahl of Sevierville. Family members say Peyton Rasmussen, 22, and her brother Parker, 18, were visiting their mother, Johna Morvent, in Kodak when the helicopter they rode in crashed during a 12-minute tour of the Smoky Mountains. 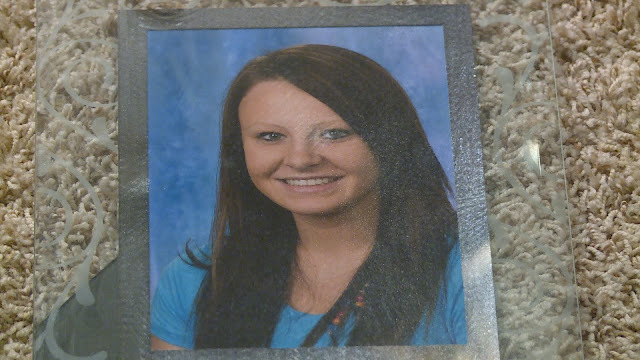 Peyton Rasmussen's boyfriend, Michael Mastelez, 21, was also on board, said her father, Scott Rasmussen. The family was originally from North Platte, Neb., and the children had been living with their father in Huntersville, N.C., Scott Rasmussen said. The mother had remarried about a year ago. "My daughter was 22 years old and the most loving, softest-hearted daughter in the whole world," the father said. "She was a very, very, very loving daughter, and everybody who met her loved her." Parker Rasmussen was being home-schooled, and Peyton Rasmussen was attending classes to become a medical technician, he said. 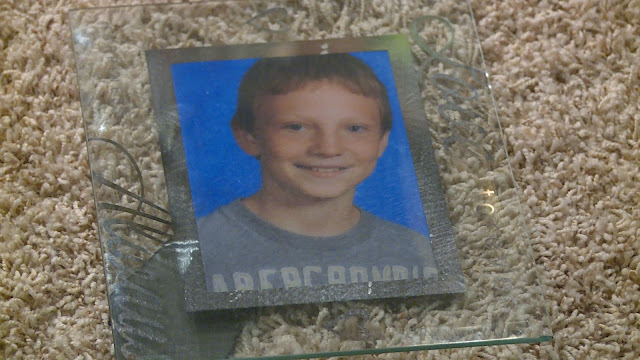 "Parker was kind of a quiet type kid," said their grandfather, Butch Rasmussen. "Peyton was the type of person who had a posse with her all the time, had a lot of friends." A National Transportation Safety Board investigator said Tuesday it could take up to a year to determine the cause of the crash. The 1977 Bell 206L LongRanger, operated by Sevierville-based Smoky Mountain Helicopters, was on an approximately 12-minute flight when it apparently struck the ground near the top of a ridge line behind an outlet mall about 3:30 p.m. Monday afternoon, said Luke Schiada, NTSB senior safety investigator. All five people aboard were killed. Schiada said several other aircraft were flying in the area at the time and that unconfirmed reports indicate the pilot made no distress call before the crash. Wreckage was scattered along the ridge. Pigeon Forge Fire Department crews searched the nearby west prong of the Little Pigeon River for additional wreckage Tuesday afternoon. The Tennessee Highway Patrol's Critical Incident Response Team was assisting the investigation with a 3-D scan of the wreckage Tuesday. NTSB investigators expect to be at the scene until Wednesday or Thursday. 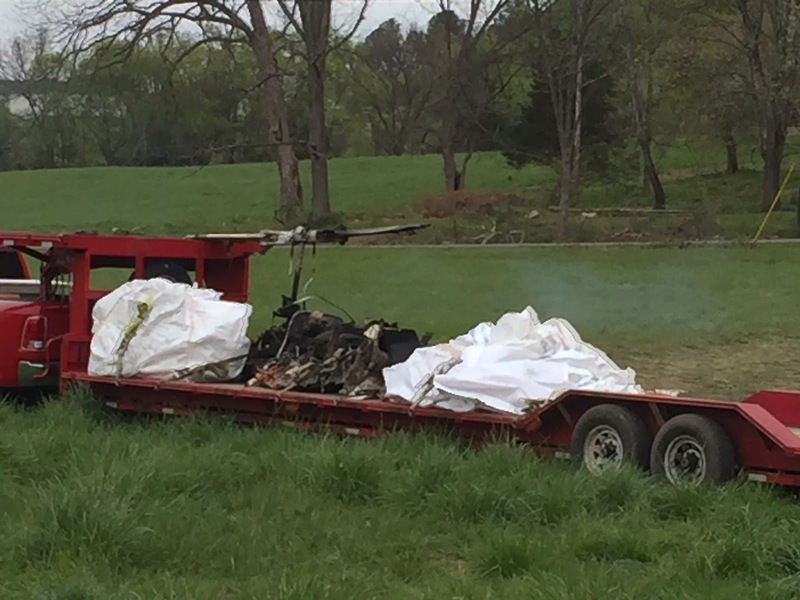 The wreckage then will be moved to a storage facility in Springfield, Tenn.
Schiada said the flight was the pilot's second of the day in that aircraft. The pilot reported 550 total hours of flight experience on his most recent medical examination filed with the Federal Aviation Administration, Schiada said. At the time, the pilot also reported he was flying about 300 hours every six months. The helicopter is owned by Bobby W. Riggs, according to the aircraft's FAA registry. Riggs is the registered agent for M-Helicopters of Tennessee Inc., which does business as Smoky Mountain Helicopters. The helicopter has a valid FAA registration, which is good through March 2018. The business operates from the Sixty Six Helipad, 1101 Winfield Dunn Parkway. 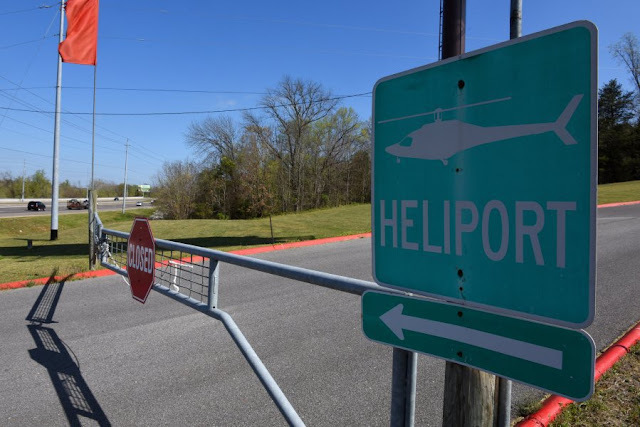 The helipad was found to be in compliance during its most recent inspection in October 2015, according to Tennessee Department of Transportation records. 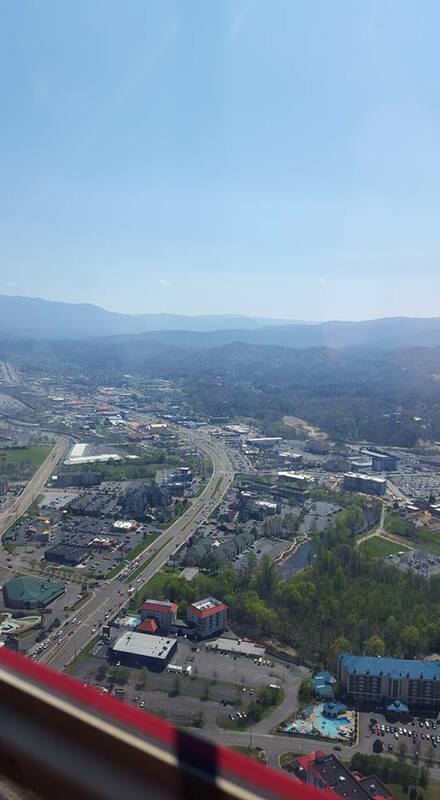 Smoky Mountain Helicopters is one of several flight tour companies based in Sevierville. Dan Haynes, owner and pilot of Scenic Helicopter Tours, said his company closed early out of respect for the victims of the crash. Haynes, whose company was not involved in the crash, said he could not speculate on what brought down the helicopter. "Statistically speaking, the Bell 206 series is the safest aircraft — helicopter or fixed wing — in the world," Haynes said Monday. In July 1996, a Scenic Helicopter Tours aircraft crashed with a Florida family of four aboard. The pilot and one of the passengers suffered minor injuries when the helicopter came down in a field behind the Pigeon Forge Outlet Mall — near the scene of the latest incident. Another crash occurred near the Ober Gatlinburg Ski resort in 1990, injuring the pilot and his two passengers. And a pilot was killed when his sightseeing helicopter crashed near Pine Grove outside Pigeon Forge in the late 1970s. His two passengers survived. In March 1997, the state Supreme Court unanimously upheld a state law banning heliports in "tourist" counties within nine miles of the boundary of a national park. 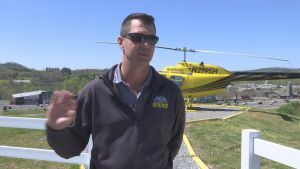 Smoky Mountain Helicopters owner Bobby Riggs had filed a lawsuit challenging the 1992 law as unconstitutional and a violation of federal aviation law. 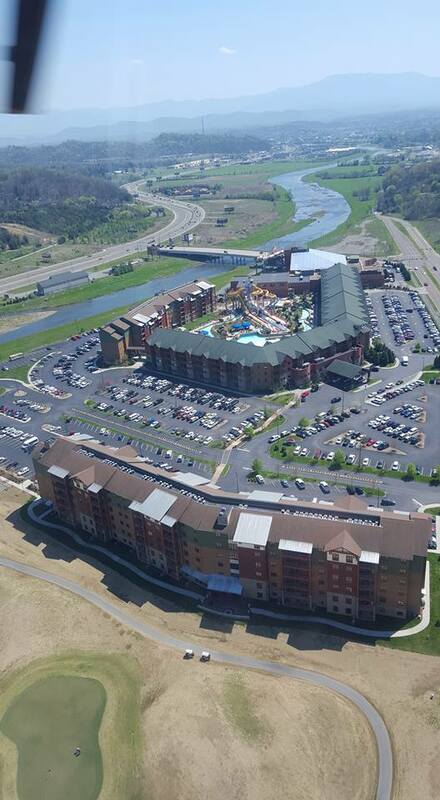 The court's decision effectively moved Sevier County's existing three sightseeing tour businesses out of Pigeon Forge. The tour operators relocated to Sevierville. Residents who live near the site of Monday's crash described a puttering noise coming from the aircraft's rotor as it went down. Witnesses heard screams from the wreckage and saw one man roll out of the helicopter before he died. The bodies have been taken to the Regional Forensic Center in Knoxville for autopsy, Pigeon Forge Police Chief Jack Baldwin said. "That'll be the medical examiner, because it was a pretty hot fire," Baldwin said. "So that may take a while." The crash site off Rainbow Road is separated from a residential street by the west prong of the Little Pigeon River. Spectators were still gathered in yards and back porches along the water's edge to watch the fire burn five hours after the crash. By then, the fire had moved to the north along the ridge, away from the wreckage. 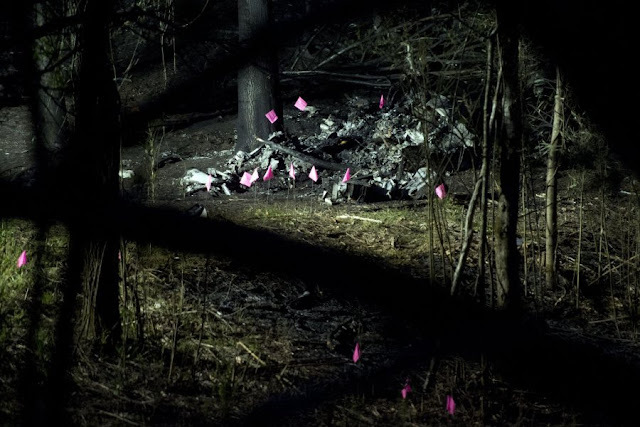 A spotlight lit up the remains of the helicopter, which had been marked with pink flags by investigators. 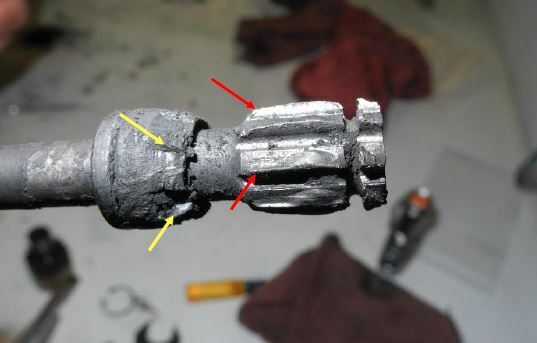 Wilma Law was on her back porch when she first heard a puttering from the rotor that "didn't sound right," and then watched the tail of the helicopter disappear behind the tree line. Law and her daughter, Kristy, who called E-911, followed the billowing black smoke to the crash site. They heard screams for help, Kristy Law said. Shawn Matern was in his house when he heard a loud boom. He said he saw the helicopter on fire and a man "more or less rolling out" of the aircraft. "He was on fire … and rolling around," Matern said. "My neighbor actually went across the river to actually check on him. "A few minutes later he was gone." The neighbor, who said he was an EMT, declined to speak to reporters because the event was too traumatic. Matern said he heard another person screaming for help, but the person was trapped inside the helicopter. "There was nothing you could do for them, you know, because they were too mangled up in there," he said. "They were burning alive." NTSB investigators work on Tuesday, April 5, 2016, where a sightseeing helicopter crashed near Sevierville. Officials said five people died when the aircraft operated by Smoky Mountain Helicopters crashed Monday. The pilot is identified as 38-year-old Jason Dahl of Sevierville. Johna Morvant, 49, and her two children Peyton Rasmussen, 22, and Parker Rasmussen, 18 were in the helicopter, along with 21-year-old Michael Glenn Mastalez. Neighbors tell Local 8 News that Morvant's new husband was out of town. He is on the way back to East Tennessee now. 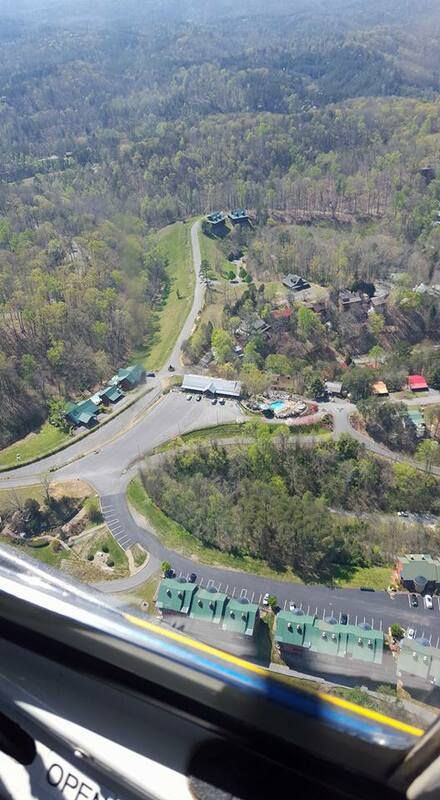 Butch Rasmussen says the children were living in North Carolina and were visiting their mother when they took a helicopter sightseeing tour at Pigeon Forge, Tennessee. The helicopter crashed Monday at about 3:30 p.m. It went down near Rainbow Road. A preliminary report should be available next week. NTSB and FAA investigators work on Tuesday, April 5, 2016, where a sightseeing helicopter crashed near Sevierville. 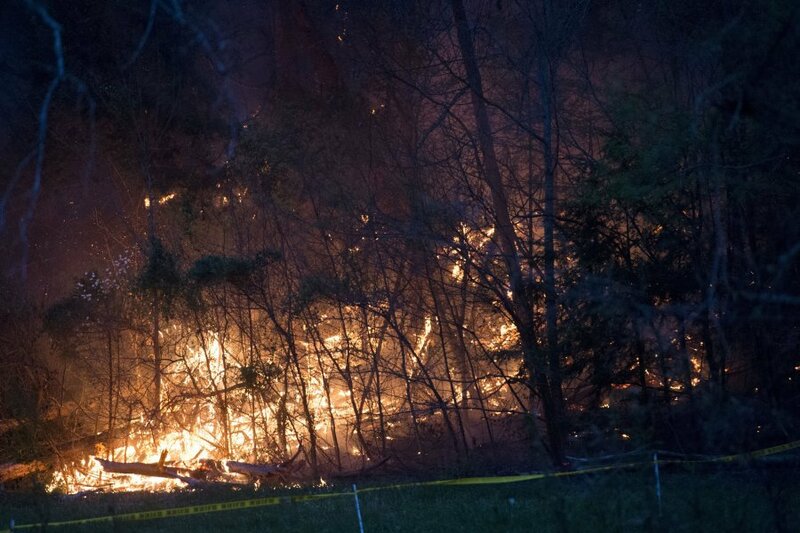 Officials said five people died when the aircraft operated by Smoky Mountain Helicopters crashed Monday. 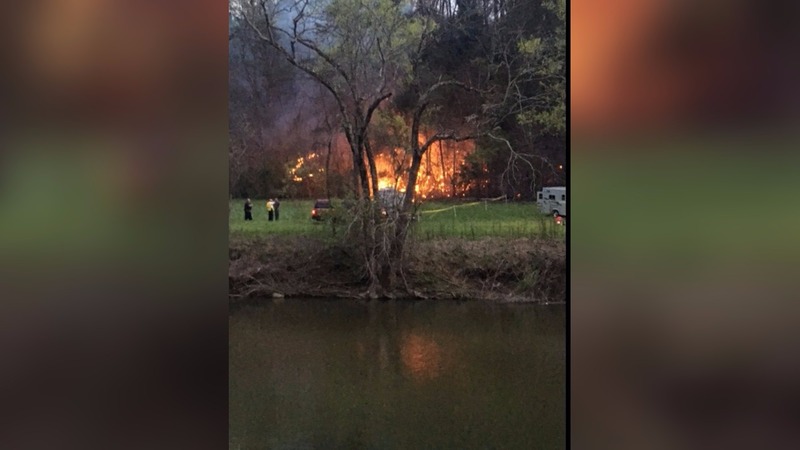 (PIGEON FORGE) - Federal officials have taken over the investigation into what caused a sightseeing helicopter crash in Pigeon Forge, Tenn. that killed five people Monday afternoon. 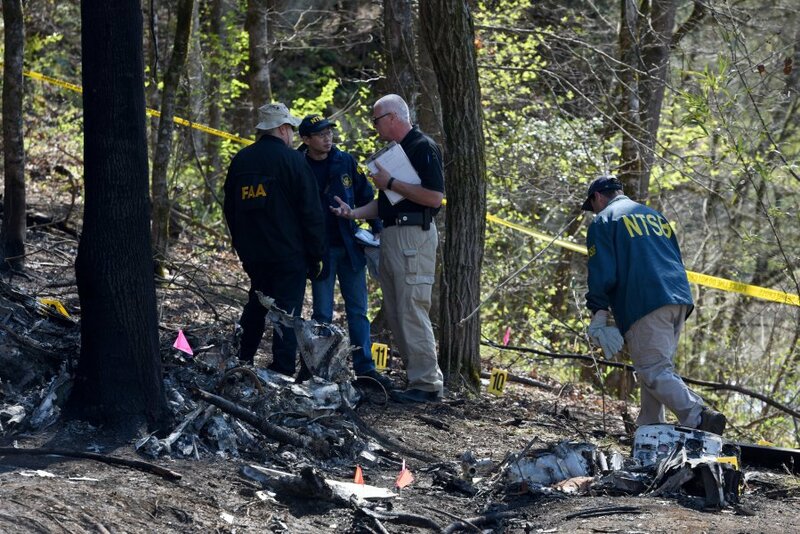 The NTSB and FAA arrived on scene Tuesday morning and plan to give an update at 3 p.m. Tuesday. Local authorities notified the FAA about the crash around 3:30 p.m. Officials told the FAA that a Bell 206 sightseeing helicopter was destroyed by fire. No word yet on who it is registered to. "There was not much left of the helicopter," said Pigeon Forge Police Chief Jack Baldwin near the scene. 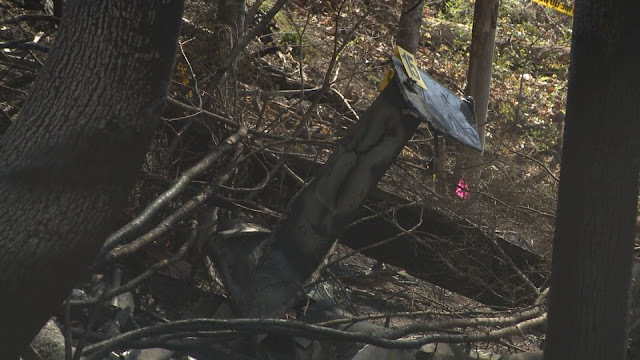 "There's just a small piece of the tailwing and that's about what's left of the helicopter." He said one person was appeared to be thrown from the chopper in the crash. "I came out and that's when I saw the second explosion and I go 'What was that?'" said witness Shawn Matern. "'That's when I came over closer and saw the guy rolling out of the helicopter screaming 'Help me! Help me!'" Witnesses reported hearing explosions and seeing fire after the crash. "A couple of our neighbors went over the river to see how he was doing," Matern said. "The guy asked him 'Are you still with me?' And the guy just shook his head, he raised his hand and the next few minutes he passed away." According to FAA spokeswoman Kathleen Bergen, local authorities "will release the number of people on board, their names and conditions." Then, the FAA will release the helicopter registration, according to Bergen. The crash also sparked a forest fire that created massive plumes of smoke. The Pigeon Forge Fire Department as well as six or seven other departments were responding to the scene. 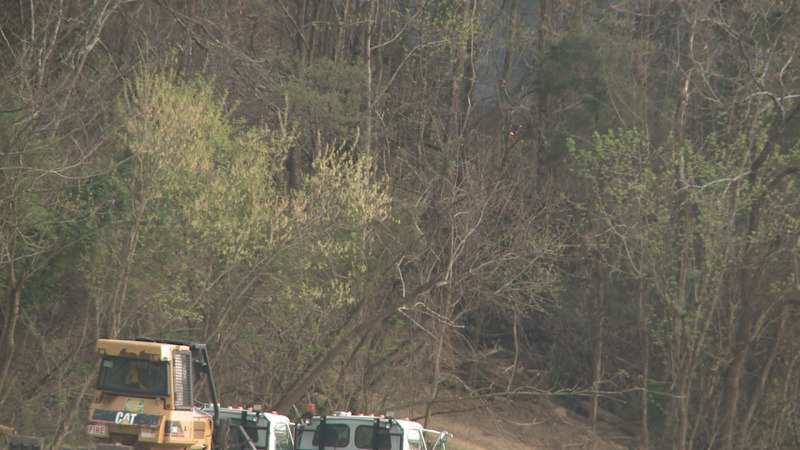 The Tennessee Forestry Division also responded to the scene because the crash started a fire in the woods. As of 8:45 p.m., the fire had been mostly contained. According to Nathan Waters, a spokesperson from Tennessee Forestry Division, it only burned about two to three acres. They worked Monday night to complete the fire lines to prevent it from spreading. "We've just been trying to stay as far out of the way [of investigators] as possible," Waters said. By late afternoon Monday, dozens of cars were parked across the river on Riverview Circle. Many drove there to share in the mourning of five lives. A number of cars drove by Tuesday morning too. "At first, I thought it was just another brush fire, but then when I realized what was happening, it was very, very upsetting," said BJ Ellington, another witness. "I felt like I just needed to come here. I know I can’t do anything but I needed to be here." "I think everybody’s pretty devastated," Ellington said. 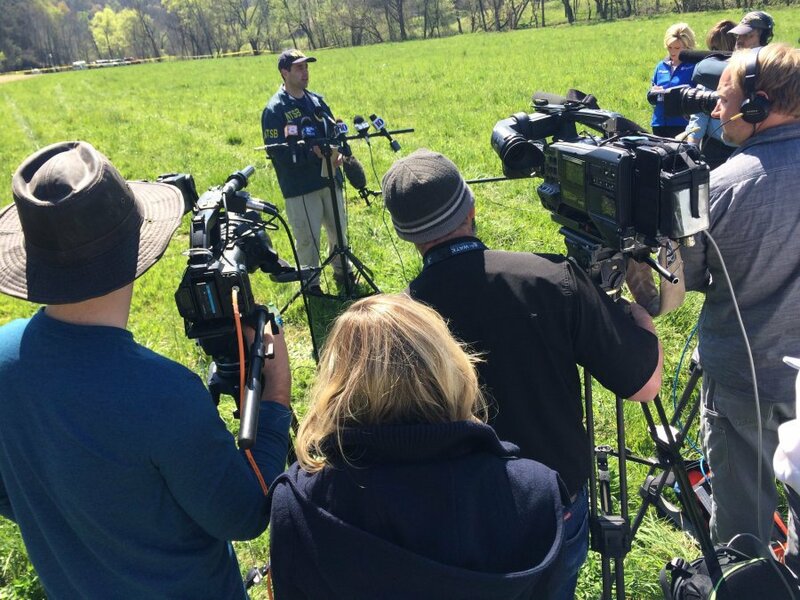 National Transportation Safety Board investigator in charge Luke Schiada addresses the media Tuesday, April 5, at the site of a helicopter crash that killed five people a day earlier. 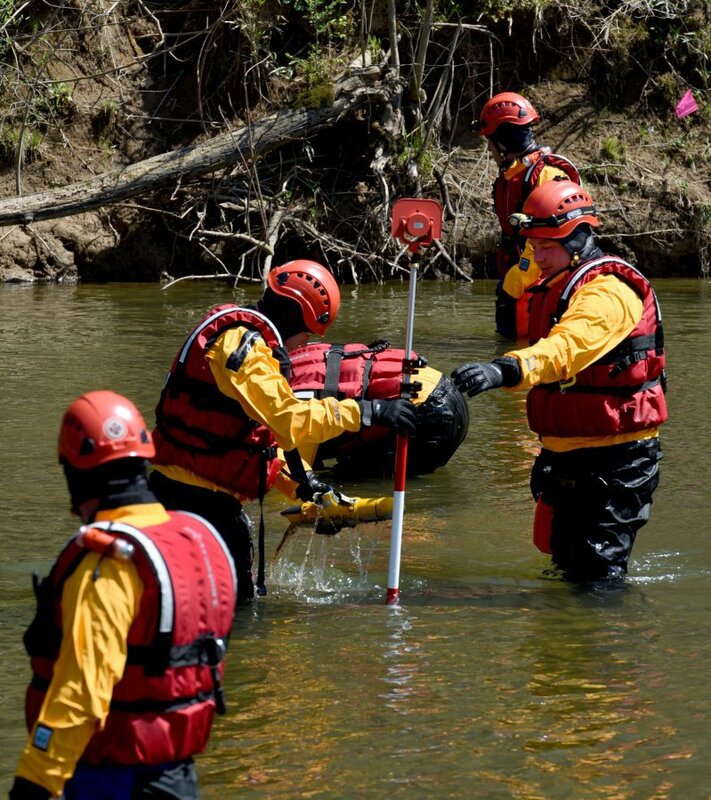 Members of the Pigeon Forge Fire Department swift water rescue team recover a piece of helicopter crash wreckage from the West Prong of the Little Pigeon River on Tuesday, April 5, 2016, near Sevierville. Officials said five people died when the aircraft operated by Smoky Mountain Helicopters crashed Monday. Officials with the National Transportation Safety Board confirm that five people were killed when a helicopter from Smoky Mountain Helicopters crashed, hitting a ridge line and catching fire. 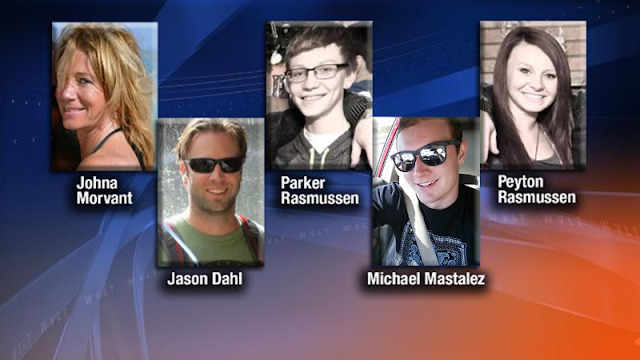 They said state police will release the names of the five killed in Monday’s crash. The tail number is N16760, which is the same one featured on Smoky Mountain Helicopter’s website. Officials said the helicopter was made in 1977 and pilot had logged more than 500 hours flying last year. The NTSB said they are finishing a preliminary report on the crash in the next week, but the investigation into the cause of the crash could take up to a year. PIGEON FORGE (WATE) – The Pigeon Forge Chief of Police Jack H. Baldwin confirms to WATE 6 On Your Side that five people were killed in a sightseeing helicopter that crashed. Baldwin said fire departments are working to put out a fire caused by the helicopter, which was completely destroyed. The fire has caught some of the hill on Rainbow Road, where the helicopter crashed, on fire. Local authorities notified the FAA that a Bell 206 sightseeing helicopter crashed near Sevierville, TN at 3:30 pm local time today. Officials said it was destroyed by fire. Local authorities will release the number of people on board, their names and conditions. The FAA will release the helicopter registration after that. We will update this statement when we get new information. 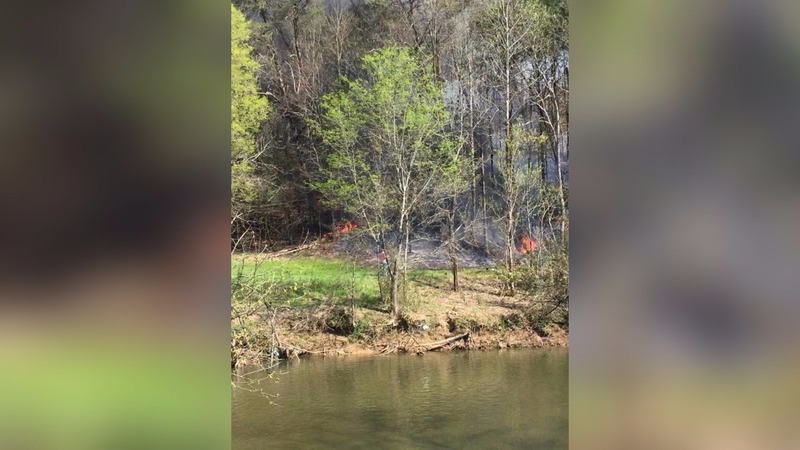 PIGEON FORGE, Tenn. (WVLT) -- According to emergency dispatch, a helicopter crashed in Sevier County on Monday afternoon. The FAA says the helicopter was a Bell 206 sightseeing helicopter that crashed at 3:30 p.m. Officials say it was destroyed by fire. The Pigeon Forge Police Department Chief Jack Baldwin says there's not much left in the wreck scene. A fire started at the crash scene and is spreading up the mountain. He said this is the worst helicopter crash he's ever seen. 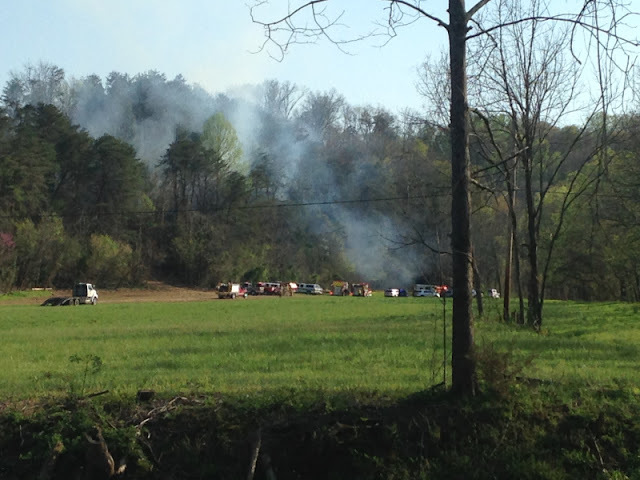 The owner of Smoky Mountain Helicopters says five people people died in the crash. The group was on a sight-seeing ride as part of a popular tourist activity. The crash happened on Rainbow Road in Sevierville. The first call came in at 4:15 p.m. Emergency responders from Pigeon Forge are working the scene. According to the Smoky Mountains Helicopters' website, the company has been offering tours of the Great Smoky Mountains National Park, Cherokee, Gatlinburg, Pigeon Forge, Sevierville and surrounding areas since 1964. A sightseeing helicopter crashed Monday near the Great Smoky Mountains National Park in eastern Tennessee, killing all five people aboard, officials said. 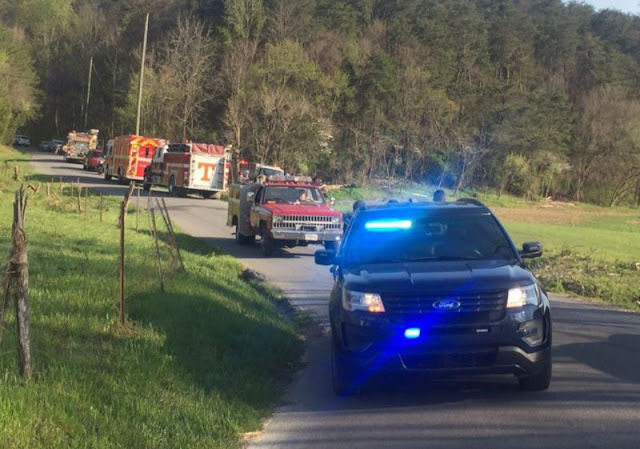 The Bell 206 helicopter crashed about 3:30 p.m. near Sevierville, Federal Aviation Administration spokeswoman Kathleen Bergen said in an email. Officials said the tourist helicopter was destroyed by fire after the crash. 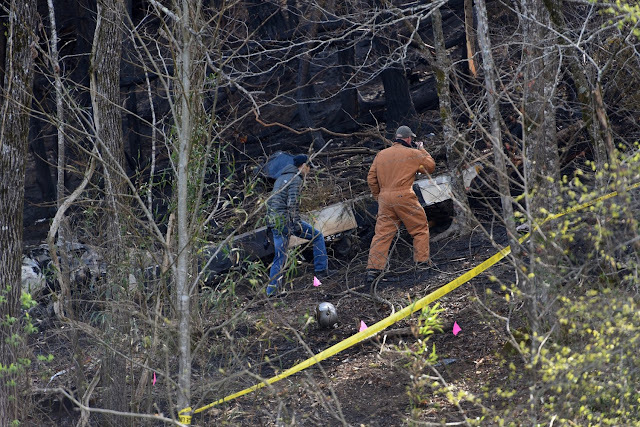 "There's not much left of the helicopter," Pigeon Forge Police Chief Jack Baldwin said. "It's pretty much gone from the fire." Baldwin said the helicopter appeared to have come down the side of a mountain and crashed at the foot of it. "There's a little bit of the tail fin of the helicopter, and that's about all that's left, that and the console, that's about it," he said. About four hours after the crash, more than a dozen emergency vehicles were at the site, which is less than a mile from a large outlet mall in Sevierville and adjacent to a neighborhood off the main tourist drag. The site is about three miles from Dolly Parton's Dollywood theme park. Smoke billowed over the wooded area. 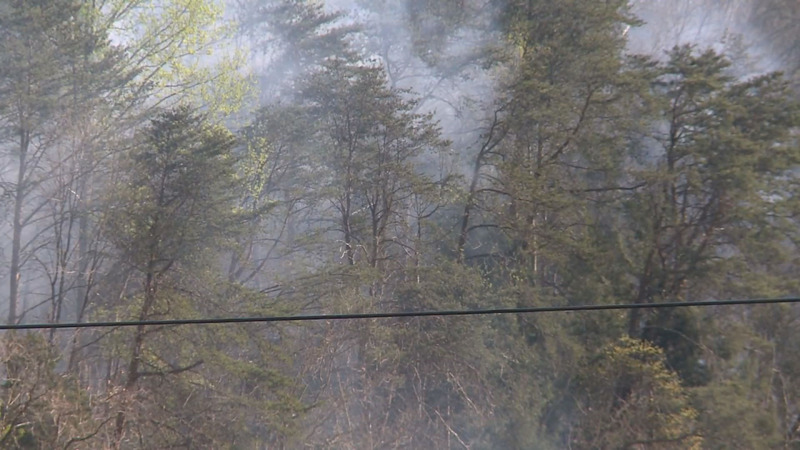 The Pigeon Forge Fire Department said it had units at the scene. Shawn Matern said he was inside his parents' house when he heard a loud boom. "That's when we came out and saw the second explosion right before our eyes," he said. He said he saw the pilot roll out of the burning helicopter on the ground and a neighbor went to try to help. Matern said the tour helicopters fly over at least three or four times a day in that area. Tennessee Emergency Management Association spokesman Dean Flener confirmed late Monday afternoon that five people had died. Flener said no homes were damaged and no one on the ground was injured when the helicopter went down. National Transportation Safety Board spokesman Chris O'Neil says two investigators from the agency are headed to the scene of the crash. Representatives from Bell Helicopter, Textron Aviation, Rolls Royce and the FAA are also going to the scene. Gary C. Robb, a Kansas City attorney who wrote a book on helicopter crash litigation, says it's far too early to determine the cause of the Sevierville crash, but some helicopter tour operators have been known to be reckless to "thrill the tourists" by flying too close to trees or waterfalls or by dangerous maneuvers.